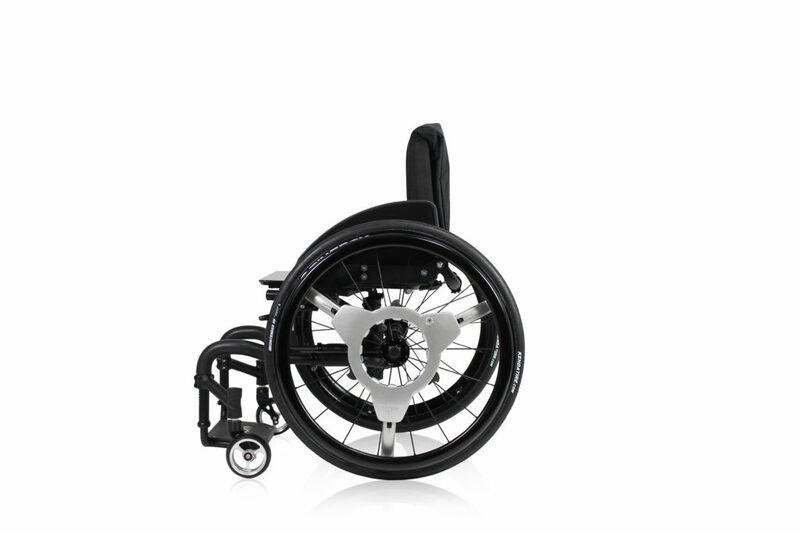 NuDrive Air enables easier forwards and backwards propulsion, manouvering, and braking and features an inclusive control system that requires no hand or finger dexterity - all control is achieved thorough simple arm and shoulder movements. 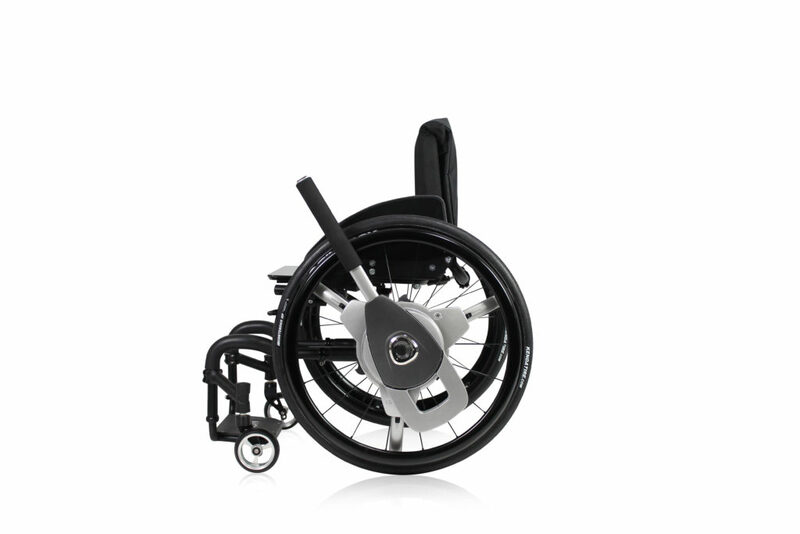 Its ‘Snap-Lock’ technology allows the Wheel Adaptor to be fitted in seconds, without altering any of the wheel configurations. 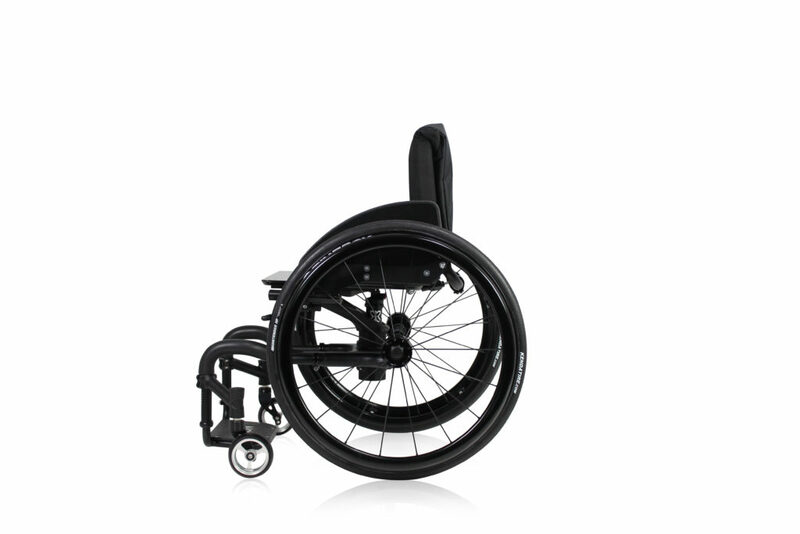 Once in place, the lightweight design adds no width and can be left unobtrusively positioned on the wheel also allowing unhindered removal of the wheels for transport. When you want to use NuDrive, the Drive Units can simply be clicked into place and then removed when finished. To propel the chair, first put NuDrive into ‘drive mode’ with an effortless outward flick of the levers. Once in ‘drive mode’ you can propel yourself forwards simply by pushing the levers. To brake and steer, pull the levers inward, towards the body. NuDrive’s intuitive braking system also makes reversing easy: first return to ‘neutral mode’ with another outward flick of the levers, and then using the product brakes, grip and move the wheels in the desired direction. Affordable, ask your local dealer for details.